A machine on an assembly line grabbed a worker and thrust him against a metal slab, causing lethal injuries. The tragedy occurred at a plant belonging to German automaker Volkswagen (VW) in Baunatal, on Monday. A 21 year old man, who is not an employee of the plant, was assembling the robot for a new motor production line, according to the Local.de. His Meissen-based company had built the machine for the automaker. He was the only person in the proximity of the machine. Other workers were standing in the outer area. The robot grabbed the man and threw him against a metal slab. He suffered a severe blow to the chest area and died in hospital. VW spokesman Heiko Hillwig said that human error is to blame for the incident, according to the Associated Press. He said that the machine is programed to grab auto parts and manipulate them. It operates in a restricted area of the plant. 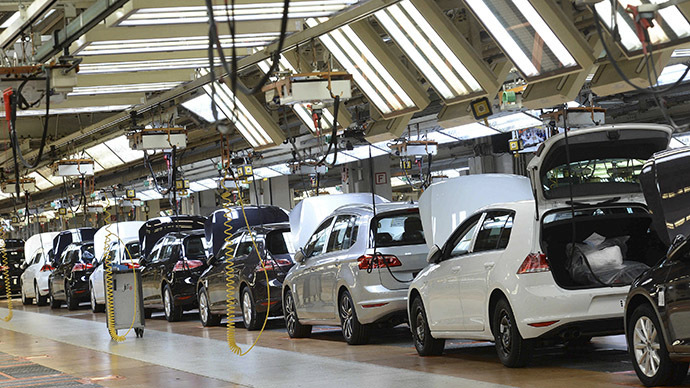 The factory at Baunatal, 100 kilometers north of Frankfurt, is the second largest for the Volkswagen brand. It doesn’t make vehicles, but assembles components for other plants.